Hampshire, UK – 14th Feb: Shine Creative, a RAR Recommended creative design agency based in Hampshire, has been praised for its role in supporting the 34th Durham University Charity Fashion Show (DUCFS), in aid of the International Rescue Committee (IRC). Shine Creative was approached to act as a key creative sponsor for the highly anticipated event, themed Mavericks to Movements, providing marketing and branding support. The purpose of this was to boldly inject the event with a fresh visual execution, to ensure the largest possible donation to the IRC and the life-saving support it provides to Syrian refugees. After developing a sophisticated and cohesive event identity, Shine proposed a more professional approach to sponsorship recruitment, creating detailed materials that fully outlined sponsorship benefits and the advantages of working with such talented students. Sponsors went on to include Fever-Tree, PwC and Teach First plus others. 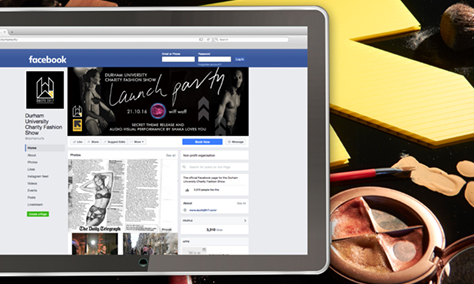 Shine also created further high impact sales and marketing materials, including social media support. This helped to recruit the show’s 60 student models, who showcased some of the country’s most exclusive fashion brands, including Ivy Park leisurewear and Rose & Willard womenswear. 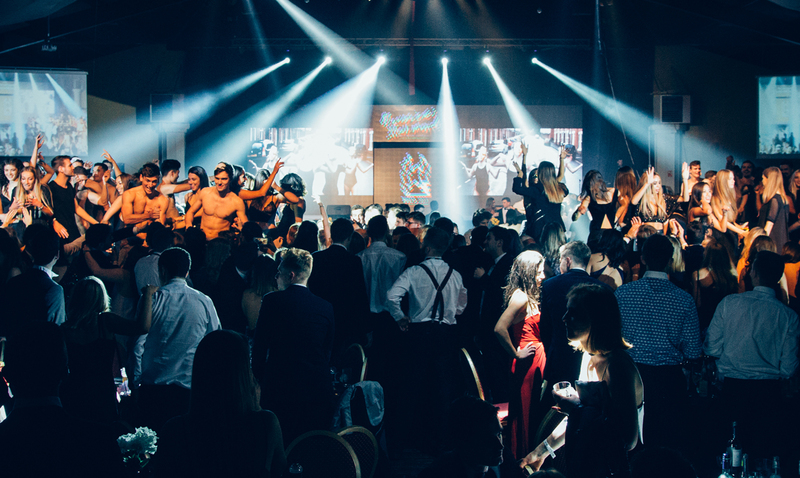 The two-night event was held at the prestigious Rainton Meadows Arena, and even featured professional model Milana Traun, who took to the stage in front of an audience of over 1500 students and alumni – making it one of the largest student events in the UK. On each evening there was also an auction and raffle offering exclusive prizes, from Cosmopolitan Magazine beauty bundles, to a Vogue Centenary Diary signed by Alexandra Shulman. The 2017 show has now managed to raise at least £75,000 for the IRC’s projects in Syria – surpassing the initial aim of £50,000. This means DUCFS 2017 is the most profitable student fundraiser in the UK – one which has also championed two other IRC related initiatives including creative photography project Vision not Victim and Jeans for Refugees, an artistic collaboration spearheaded by Johny Dar. 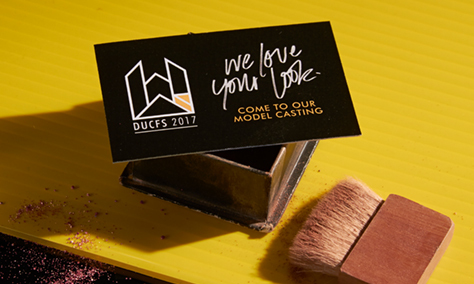 Commenting on the record-breaking show and the impact of Shine’s branding and marketing support, DUCFS 2017’s president Rowena Soons said: “We came to Shine with a very complex brief and an ambitious business objective of communicating with multiple target audiences. 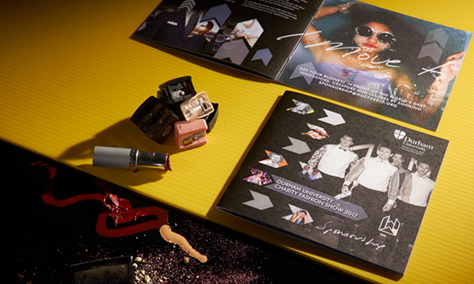 They took our brief right back to the core and approached it in a completely new way, drawing together all the elements of our project seamlessly and crafting us an integrated campaign that was absolutely central to us doubling our event ticket sales. As President of Durham University Charity Fashion Show, I have been personally approached by students, staff and the charity we are supporting praising us on the creativity and thoughtfulness of our advertising campaign this year. As a direct effect of Shine’s fantastic design work we gained £20,000 in sponsorship (three times more than any other year) and support from national press as well as designers featured in Vogue ‘ones to watch’ feature and GQ magazine. For more information about this project, please contact April Atkins by emailing april@shinecreative.co.uk, or visit our case study.